Overview: It exhibits increased resistance to atmospheric corrosion compared to unalloyed steel as it forms and regenerates a protective layer under the influence of the weather. 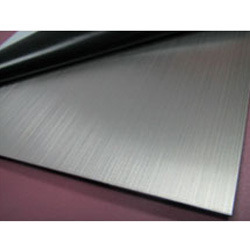 HCR is an Fe500 steel that has added elements to resist corrosion. Sea water, acidity in the air or salinity in the ground water causes steel to corrode making RCC structures weaker. It exhibits increased resistance to atmospheric corrosion compared to unalloyed steel as it forms and regenerates a protective layer under the influence of the weather. CRS BARS are highly recommended for areas with high humidity like Dams , Bridges , Tunnel and Near Coastal Areas. 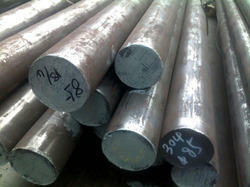 CRS BARS manufactured by SAIL / VIZAG / TATA are available with us Ex-Stock in 8mm to 40mm Dia. We have with us Corrosion Resistant Steel that is manufactured using high-grade raw material and latest technology. Meeting with industry norms, our bars are available in various sizes, shapes, and designs at affordable prices to fulfill the demands of customers. Corrosion Resistant Steel is used in areas with high degree of abrasion or wear of the steel. The basic quality of abrasion resistant stainless steel improves durability and safety of structures. This abrasion resistant steel helps in reducing the maintenance costs connected with wear and breakdown of plant. Corten steel sheets from M/s. JSW Steel. Shri Amman Steel And Allied Industries (P) Ltd. This type of steel enhances in both corrosion and atmospheric corrosion resistant properties, adding such special elements as P, Cu, and C, and is used in the manufacturing of containers, special automobiles and construction structures.